Eight months after it was established as a joint venture between Programmed Maintenance Services Ltd and Netherlands-headquartered Atlas Professionals ANZ Holdings BV, Atlas Programmed Marine JV (JV) has today announced it will operate in Australasia under the name Atlas Professionals. The JV currently provides a broad range of services to the offshore oil and gas and marine sectors throughout Australia and New Zealand, including manning, logistics support, agency, catering and other operational services, with offices in Australia and New Zealand. With Atlas Professionals operating in 16 countries, the JV has taken the decision to leverage Atlas Professional’s global footprint and utilise its international brand within the Australasian market. The JV has benefited from a two-way exchange of expertise between it and its internationally known and connected JV shareholder, Atlas Professionals, which has already delivered tangible results including exporting Australian expertise and experience to other markets. For example, the JV’s experience in offshore catering has assisted Atlas Professionals in tendering for catering contracts in markets such as Brunei, Indonesia and the Middle East. 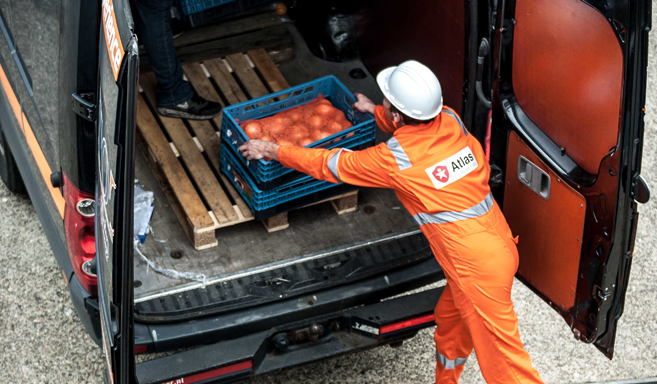 Catering was not a service previously offered by Atlas Professionals. Conversely, the JV has benefitted from Atlas Professionals’ global expertise in areas such as remotely operated vehicles (ROV), seismic and hydrographic surveying. “The bottom line is that the JV has enabled us to broaden our service offering into new areas in the Australasian market and to further meet the needs of our customers.” Contract wins have come as a result of both tendering and building long-terms relationships with established, blue chip client. This week the JV’s new branding was unveiled to clients at an event in Perth. Today (Friday 16 March 2018) is the first day the JV will operate under the new name, Atlas Professionals. The JV has recruited a number of new people, bringing in expertise in a number of areas including tendering and business development. It has also focused on upskilling its workforce and is partnering with training providers to offer training specially tailored to newcomers to the marine industry, enabling them to pursue entry-level opportunities. From the outset, the JV has focused on delivering a greater range of services and capabilities to clients within the Australasian oil and gas sector, and it has an ambitious strategy to become the region’s leading provider of offshore and marine manning services. Atlas Professionals (Australia & NZ) supports clients within the offshore oil and gas sector with the full cycle of recruitment and manning services. Atlas Professionals has approximately 800 staff across Australia and New Zealand. Globally, Atlas Professionals has 21 offices and a presence in 16 countries and has been operating since 1982.